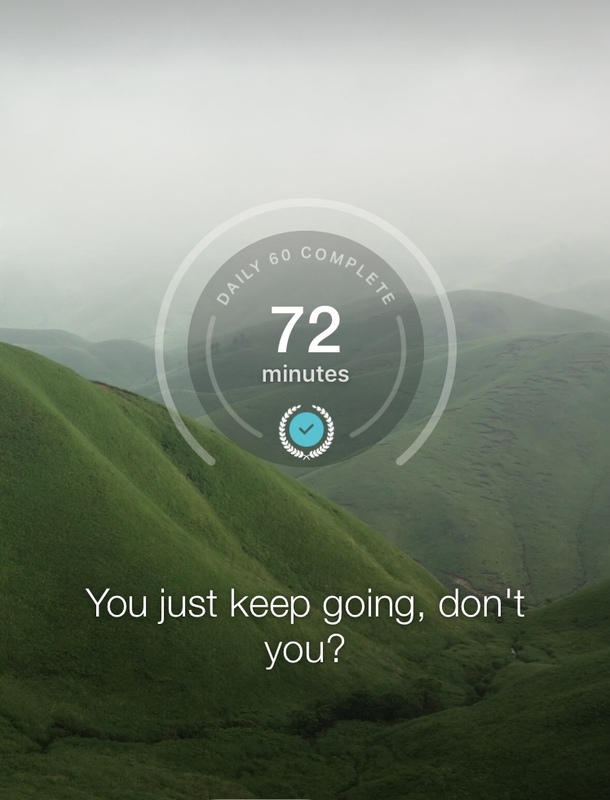 Are fitness trackers motivating ? Fitness trackers can be a good tool for helping you move more. The Fitbit is sleek and novel, as are many of the new fitness trackers and apps, such as the Adidas or Human App, with gorgeous images, charts, and graphics. What’s not to like being called a hero for walking 30 minutes? Graphs and feedback in fitness trackers are fun and motivational. This year, activity trackers and wearable’s retained their number one ranking by the American College of Sports Medicine’s Worldwide Survey of Fitness Trends, and an estimated 485 million wearable devices will be in the market by 2018. But do they really make a difference in terms of long-term lifestyle change? As with any new trend, going way back to Jane Fonda workout videos, Cooper Aerobics, Jim Fixx and running, or today’s P90X, the initial novelty wears off. Dr. Michelle Segar, Ph.D., a motivational scientist at the University of Michigan’s Sport, Health, and Activity Research Center says that they are still just tools, not the holy grail of motivation. Yes, some people love graphs and charts, but it is your relationship with physical activity that counts in the long run. Is exercise a chore, or a gift? Studies are mixed and ongoing in showing how effective tracking apps are to help people lose weight. Research shows that only some types of trackers can help. For instance, a study of inactive postmenopausal women found that a standard pedometer didn’t help increase their activity, while the Fitbit did. Another study published in the Lancet Diabetes & Endocrinology showed participants increased their physical activity by 16 minutes per week. However, by 6 months, 40% of the participants stopped wearing their devices, and at the year’s end, only 10 % of them were still wearing them. If only a small percentage of people wear trackers after a year, where is the missing motivational link? Human nature dictates that we all want to have positive experiences and ownership of our behavior. Is your underlying reason why you would want to include more exercise is because your doctor said so, or societal pressures to be thin? When I set up exercise programs for new clients, I always ask what is the specific number one goal that they want to achieve. Your reason for initiating a behavior change has to be compelling enough that you would want it in your life. Feel better. Have more energy. Be in a better mood. All these reasons have a domino effect and can positively influence your motivation, says Dr. Segar. In her book No Sweat: How the Simple Science of Motivation Can Bring You a Lifetime of Fitness, Dr. Segar points out that physical activity that is enjoyable and makes people feel good right now is more motivating than a noble far-off goal such as “ better health “. When you focus on an immediate pleasure, like an evening walk around your neighborhood, moving more then becomes a gift. This is what Dr. Segar calls the right why. When you enjoy something and do it willingly, you are highly motivated, autonomous. Within this theory, you’ve created a sense of ownership. Regarding exercising, you also develop a sense of self-care. The rewards are instant- perhaps your headache is gone, or feel better for doing some stretching. By taking these little steps, you reinforce the rewards of being more active. The brain begins to associate sweat with a surge of endorphins- those feel-good chemicals. Keep using your tracker. It’s a good partnership for staying motivated. This entry was posted in Core Exercises, Fitness Tips, Ketchum, Psychology, Strength Training, Sun Valley and tagged active, American College of Sports Medicine, apps, exercise, Fitbit, fitness trackers, motivation, positive, self-care by ConAron2799. Bookmark the permalink.